Four recent Rockets alumni are off to a great start in their professional hockey careers. 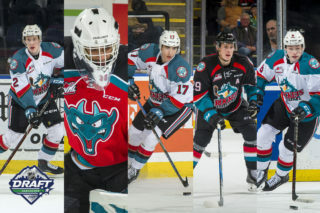 Leon Draisaitl, Madison Bowey, Josh Morrissey, and Tyrell Gourbourne have all made the jump to the next level and are seeing the success they had in Kelowna translate to professional hockey. Just four months out of junior hockey, each of these players is used to being one of the biggest or most experienced on the ice. However they now face the daunting realization of becoming a rookie again. They face opponents that not only have NHL experience, but years of life experience as well. From captain to rookie once more, Madison Bowey is finding himself fighting for ice time on each shift. 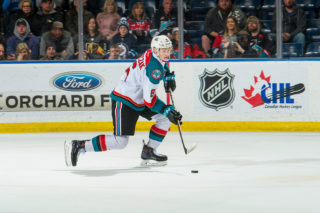 Bowey led the Kelowna Rockets to the WHL championship and hoisted the Ed Cheynoweth cup in front of his home crowd back in May. The five year vet with the Rockets tallied 172 points from the backend in 259 games. 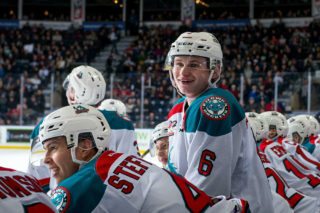 His offensive prowess saw him wear the ‘C’ for his final two year in Kelowna and become one of the fan’s favourite players. While in junior he was also honoured with dawning the red and white for his country at three international competitions. Most recently he helped team Canada win gold at the World Juniors in 2015 playing in all 7 games and registering 4 points. Meanwhile, another fan favourite is making a name for himself around the AHL with 2 goals and one of the most decisive fight-wins of the early season. Tyrell Goulbourne, the Flyers 3rd round pick in 2013, is quickly assuming the same role he played in Kelowna, for the Lehigh Valley Phantoms; a high energy, hard-nosed, go-to-the-net type of player that can showcase soft mitts when he’s not dropping them. 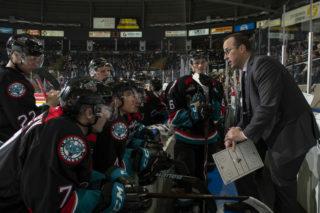 Known more for his penalty minutes than his points per game during his time in Kelowna, Goulbourne played four full season with the Rockets and was named assistant captain in 2013. His 22 goals in the 14/15 season were good for third on the team as helped the team capture their fourth Ed Chynoweth Cup in franchise history. One mid season acquisition is currently enjoying his second stint in the NHL in as many years. Despite starting the year in the AHL Leon Draisaitl was called up to the Edmonton Oilers after six games with the Bakersfield Condors. 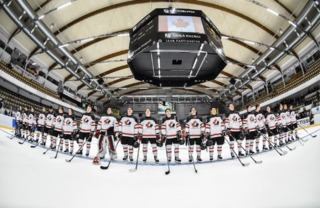 The German has made an immediate impact scoring an astounding seven points in just three games including the game winning goal in a two goal effort against the red hot Montreal Canadians on October 29th. Josh Morrissey also came over from Prince Albert a month before being joined by Draisaitl. 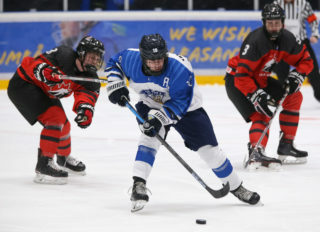 The Winnipeg Jets prospect was highly regarded as the top defenseman in the WHL at the time of the trade and is trying to meet that expectation in the AHL. Although the 2013 first round draft pick is currently pointless through 9 games, there are no questions surrounding his offensive abilities. As a 19 year old, Morrissey managed nine points in 20 playoff games with the AHL’s St. Johns Ice Caps in 2014. He followed that playoff performance up with an even better one the next year with the Rockets during their run to the Memorial Cup. His 14 points in 13 playoff games was sixth on the team and fifth among defensemen in the entire league. His impact in the 38 games in a Rockets uniform far surpassed the 30 points he put up. He provided leadership in the club house and was a good example off the ice and in the community.